The legendary workshop of Rietveld has been reopened as Bruns DeStijlfactory. The first and only industrial building designed by Gerrit Th. 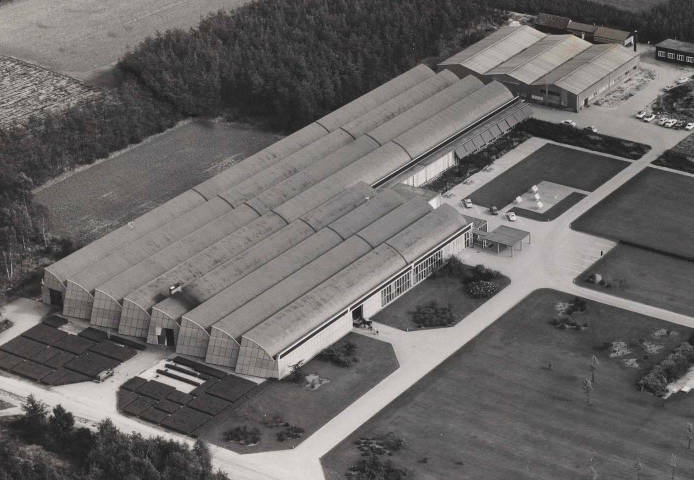 Rietveld was originally built as Weverij De Ploeg in 1957. The new owner Bruns had the complex renovated by Diederendirrix Architects. Bruns has commissioned Aart van Asseldonk to design the new interior. Netach, in close collaboration with Aart van Asseldonk and Bruns, has technically developed the new designs and prepared them for production. A great deal of attention was paid to the choice of materials, construction and quality. Netach is proud to be able to design the following objects for this beautiful project. - Two video conference furniture for the meeting rooms: Technical design, choice of materials, color scheme, AV integration. - Planters for open office: Technical design, choice of materials. - Reading table De Ploeg: Technical modular design and choice of materials. - Wooden truss system for the suspension of Aart van Asseldonk's 'Trouble Light' lamps: Technical design, construction calculations, choice of materials. - De Ploeg signage: Technical design, design matching the Rietveld complex. - Outdoor showcases De Ploeg: Design of 4 outdoor showcases. We looked closely at the original showcases of the Ploeg factory, in which fabric samples were exposed to sunlight to measure the color quality. The newly designed showcases are in the same place as the original showcases. Now these serve to provide information about the history of De Ploeg, Rietveld, Mien Ruys (De Ploeg park) and Bruns. - Videowall: Design, choice of materials and AV integration. - Kitchen De Ploeg: Technical design, manufacturability and choice of materials of the unique kitchen which is positioned in the canteen of the complex.